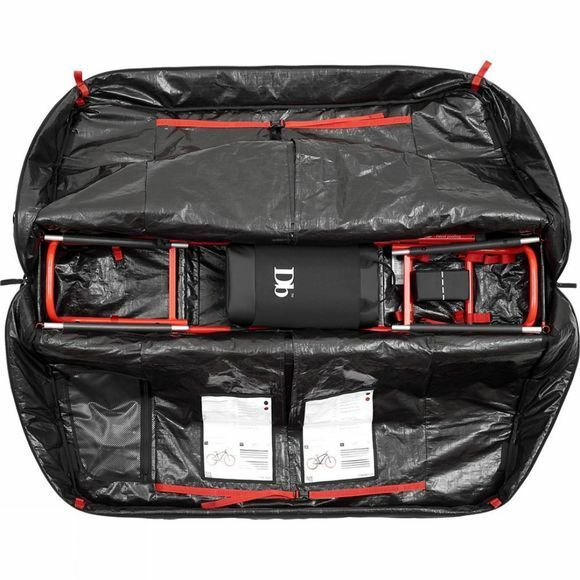 Inspired by the lifesaving roll cages used in racing cars, the construction of Douchebags's The Savage centers around the unique and patented Db Roll Cage which will protect your bike in an exceptional way. Combining high durability, steadiness and compressibility. One bag fits all. The Savage is designed to fit any type of mountain bike from Freestyle bikes to Downhill- and plus size bikes. With the additional Road Bike Handlebar Adapter, the bag will also handle any type of road bike with a curved, detachable handlebar. 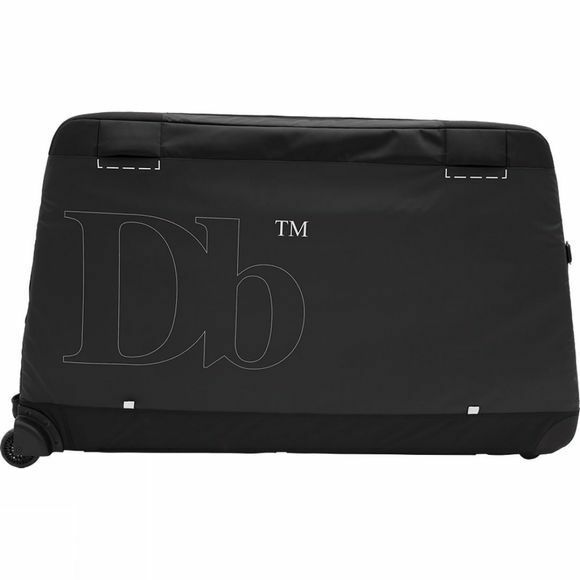 Fork protector is compatible with Db's Road Bike Adaptor for transportation of a road bike.